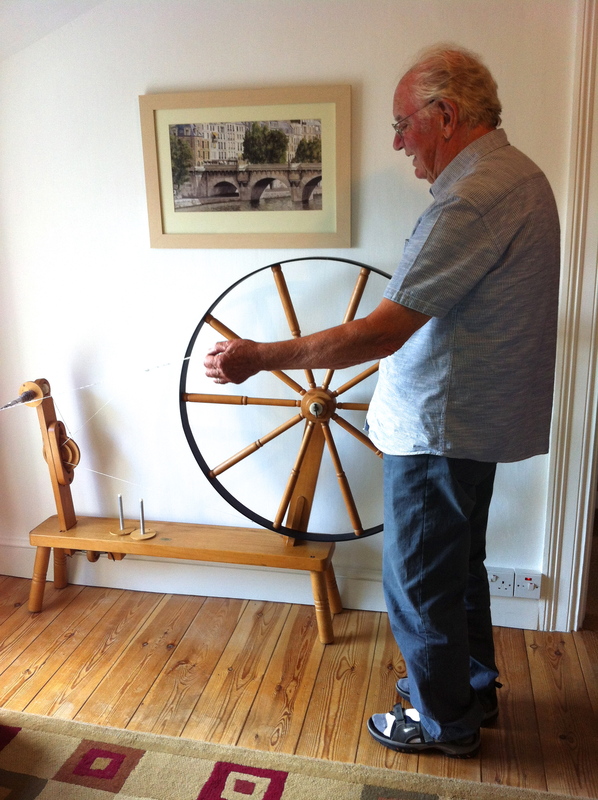 I am now the proud guardian of my Uncle David’s Great Wheel. 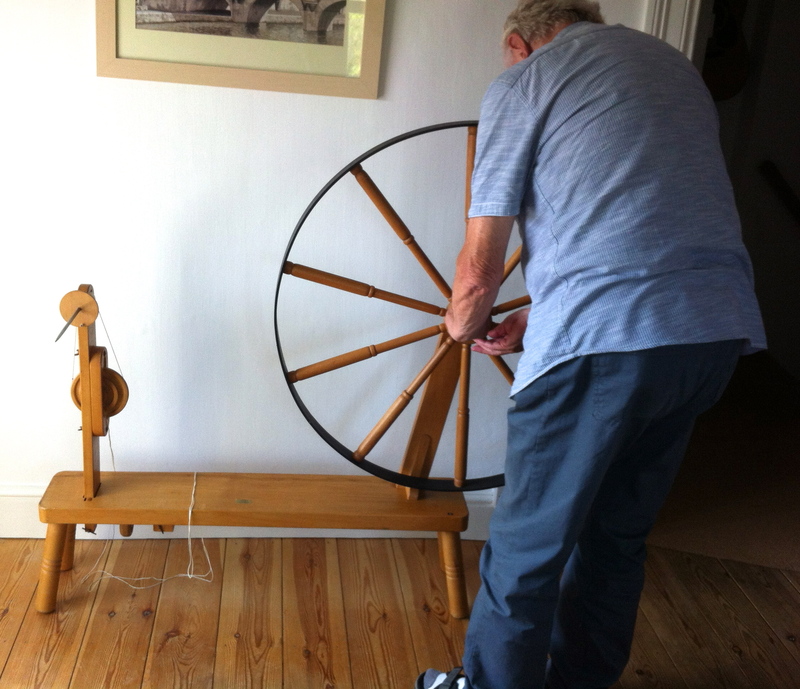 I spent a lovely afternoon with my Aunt and Uncle, when they delivered the wheel and set it up for me. They also gave me the last ever Barnett Drum Carder, so I’m all set to learn how to spin. The Great Wheel was built in 1979 with my Uncle adding his own design improvements, one of which was the hand-welded circular steel rim. The extra weight makes it turn better. 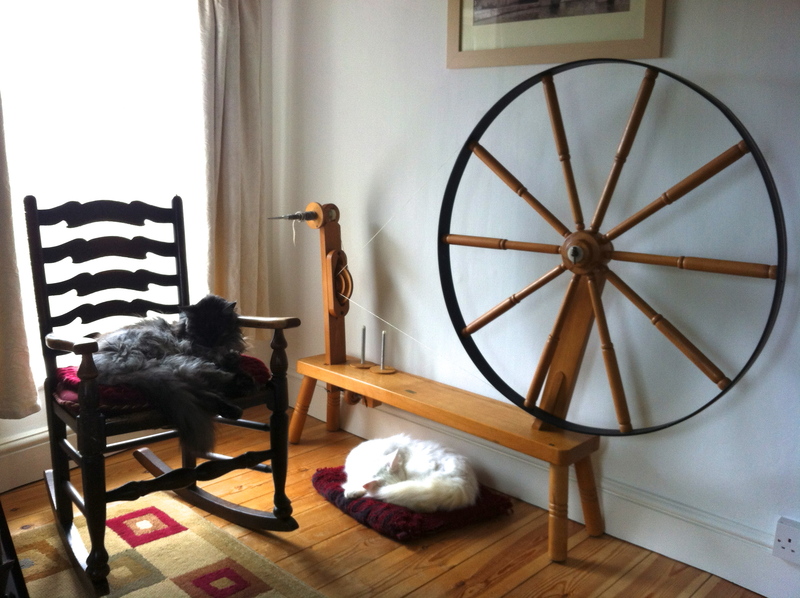 This is the way yarn was spun before someone invented the familiar treadle spinning wheel, so that spinners could sit down and use both hands to work the fleece. So the Great Wheel harks back to ancient times, and even features in Sleeping Beauty, when she ‘pricks her finger on a spindle’! 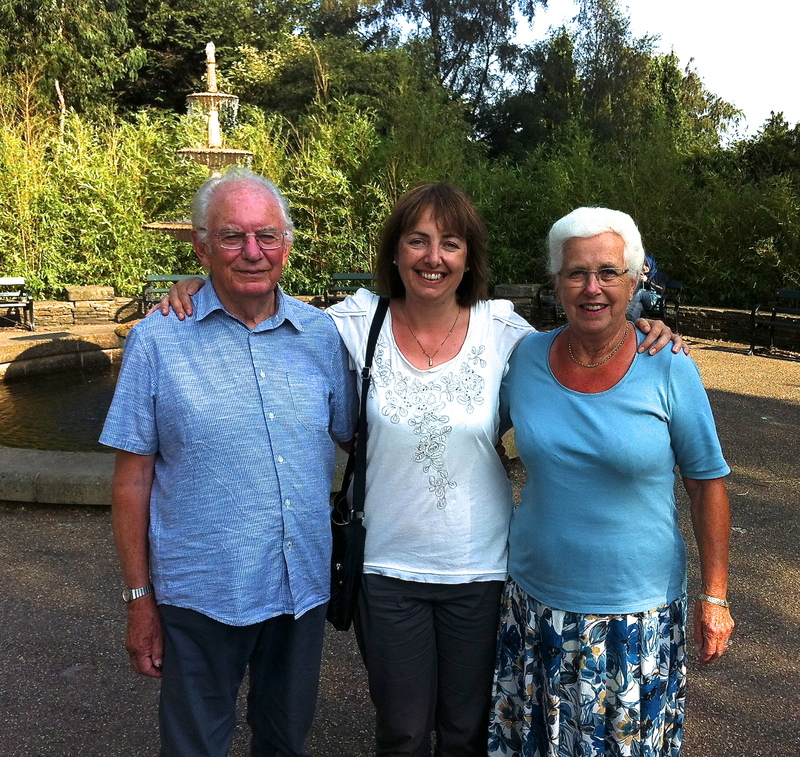 We all went for a walk in Sheffield’s Botanical Gardens before they had to go. It was great to show my relatives that Sheffield isn’t all industrial smog and grime! As for learning to spin, when o when o when will I be able to do that? Some serious time management is needed. 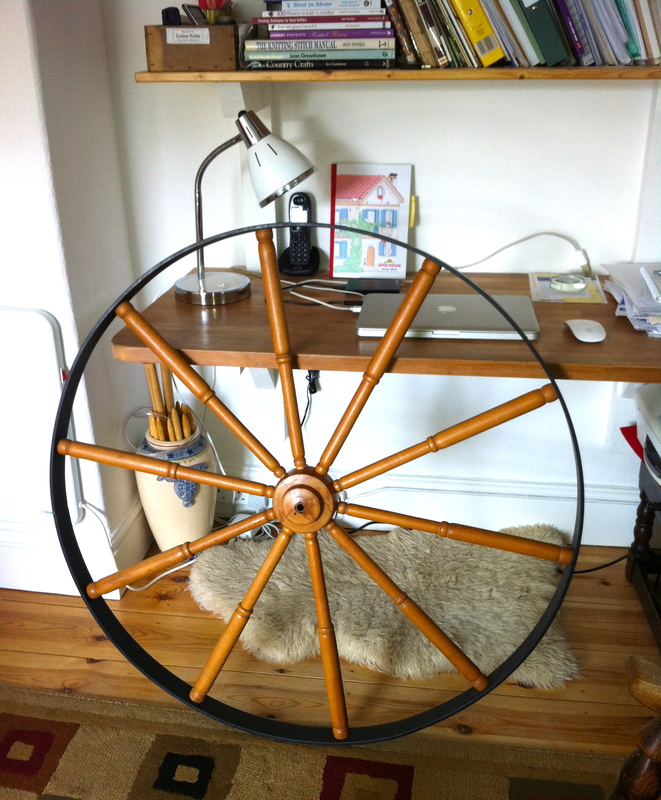 I may have to wait until I retire…until then, I give the Great Wheel a little spin every day. 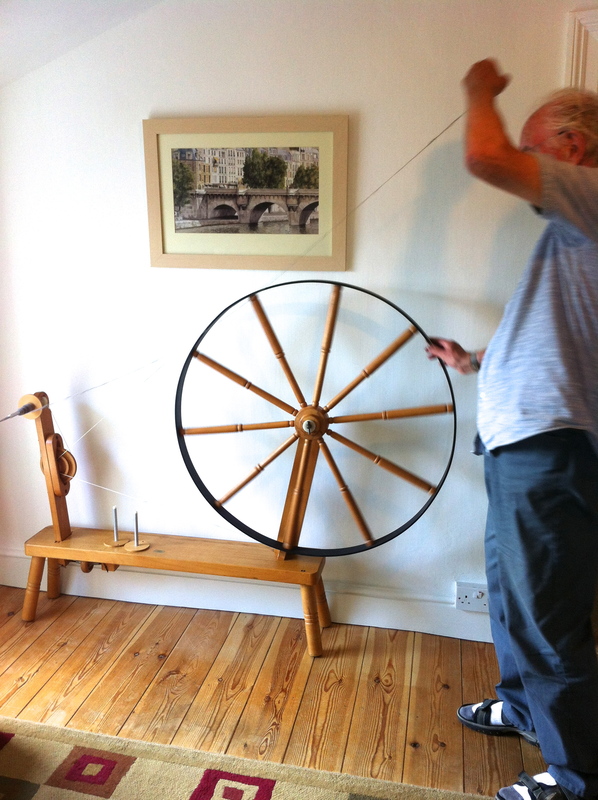 My Uncle, David Barnett, is an amazing engineer, carpenter and woodturner and he has designed and built all sorts of looms and spinning equipment over the years, in his spare time, as a hobby. 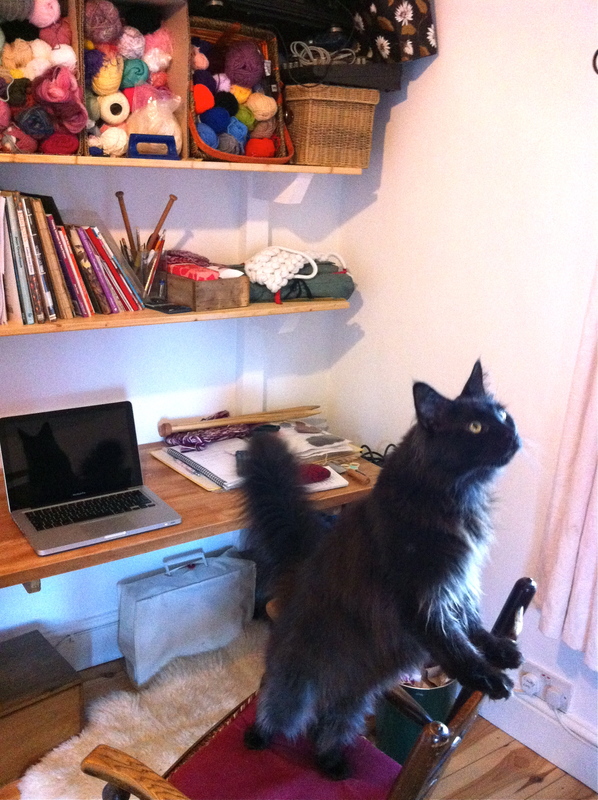 He has made all of my giant knitting needles for my extreme knitting projects. 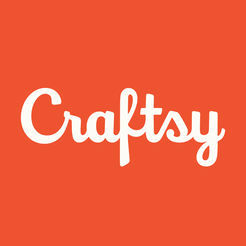 He is best known for the Barnett Drum Carder, which was very sought-after by the spinning community for its superior design. Now he’s retired and he doesn’t make them any more, although they occasionally come up for sale on ebay and he can still supply spare parts. 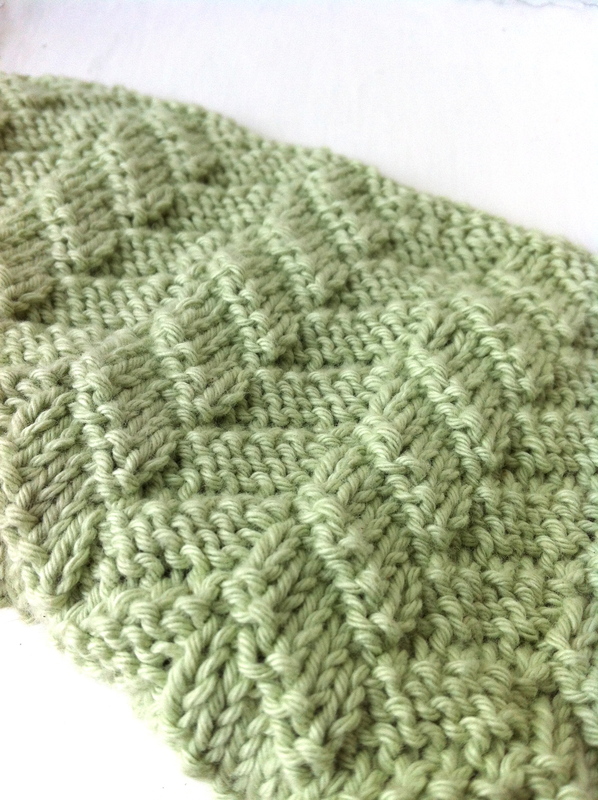 I have wonderful childhood memories of family visits when I was encouraged to have a go at spinning, weaving, knitting, rug making, and embroidery. 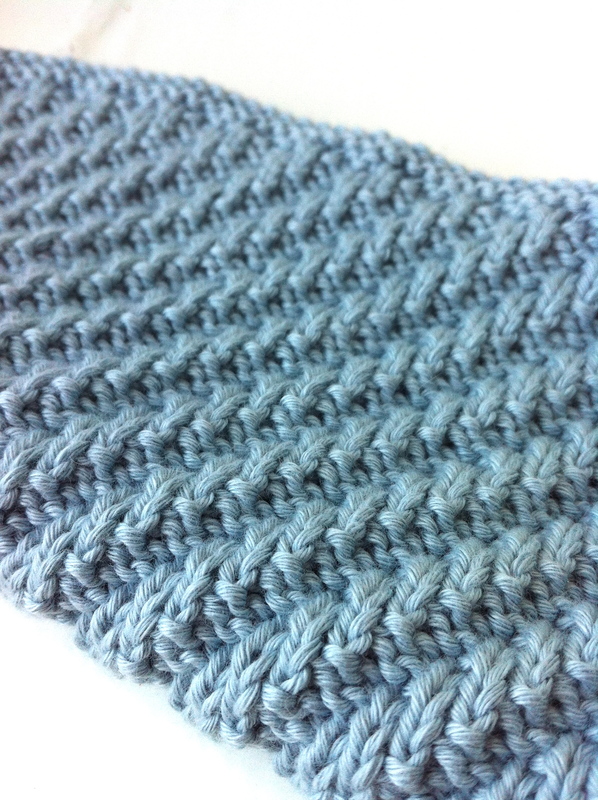 Obviously knitting became my thing and it’s never left me. 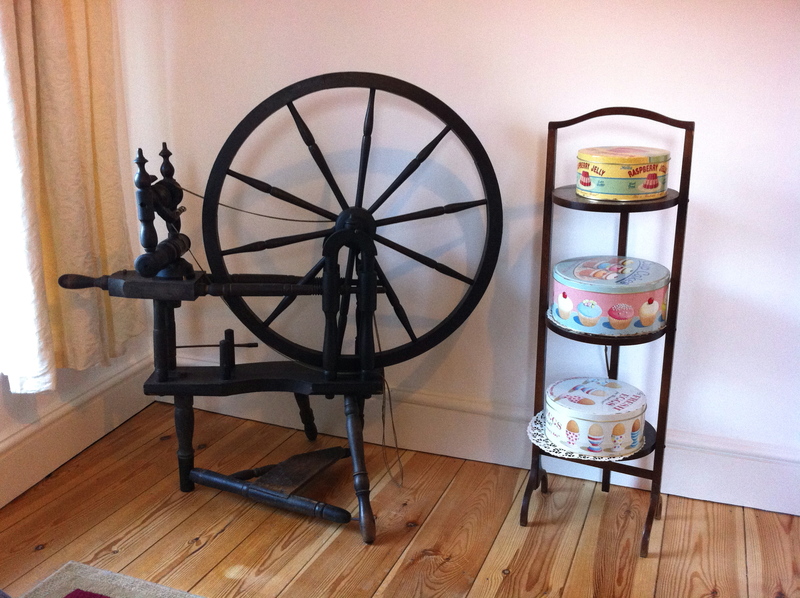 But with my family history of old-time creative textile arts, I have always wanted to learn to spin. 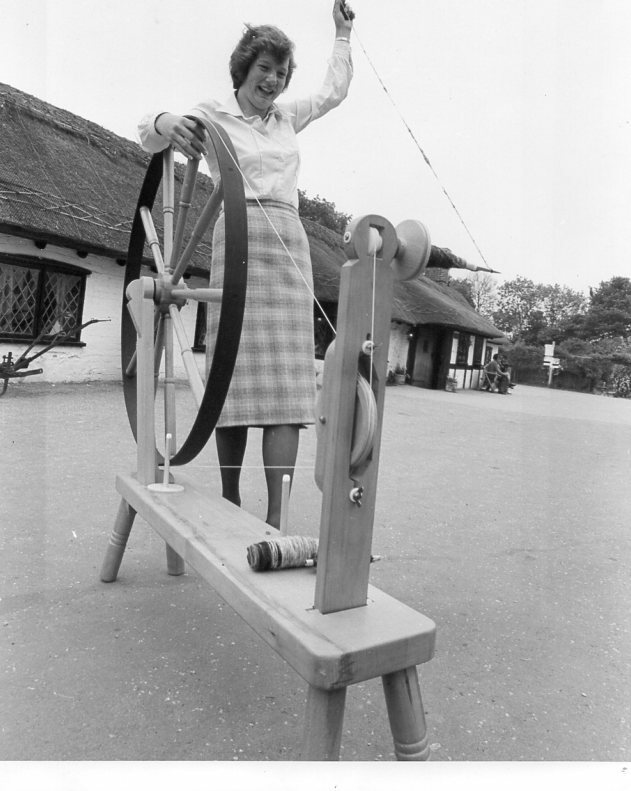 One of my Aunts was an expert spinner and weaver, and she used to teach spinning classes. She taught me to spin as a child, but that lesson is a distant memory now and sadly she is no longer here to teach me. But I’m sure my Uncle will show me how to get started. 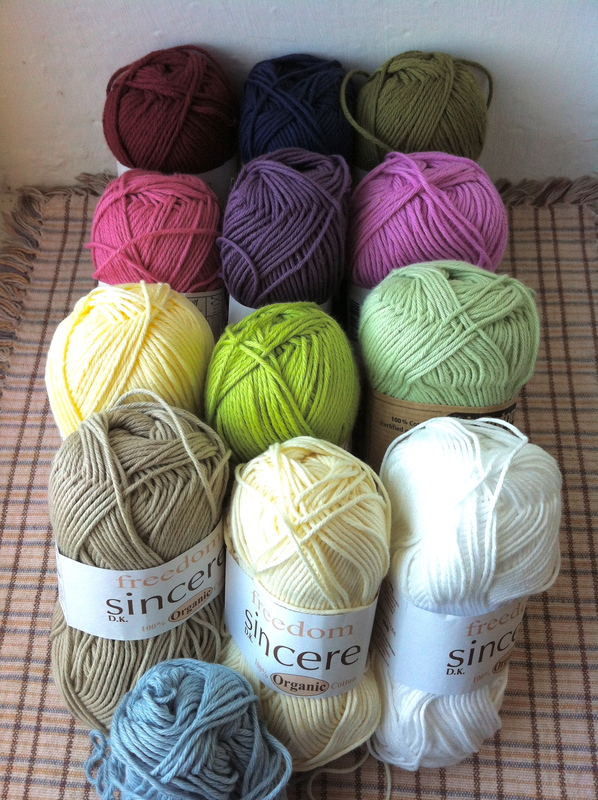 As the only knitter in the family, they would like the Great Wheel to have a good home. It’s a very large thing so gawd knows where I’ll put it, but I will find a spot for it. 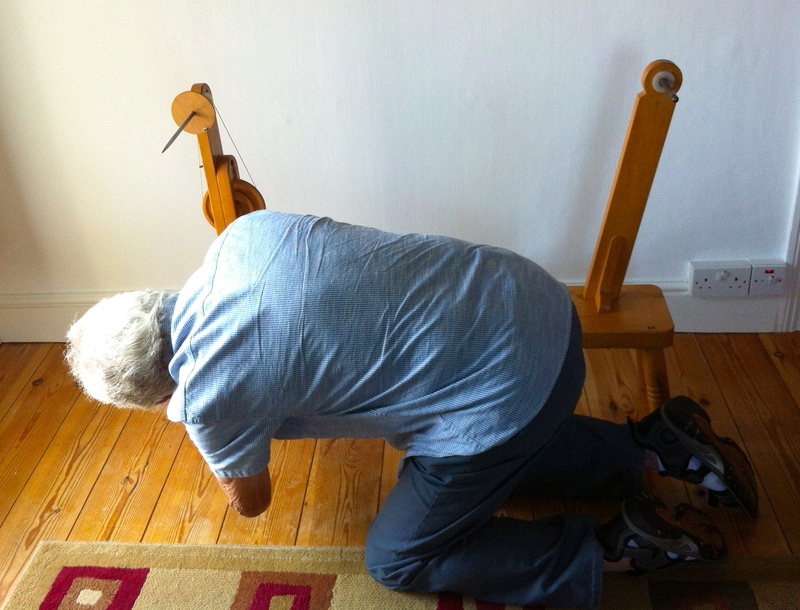 My OH is fascinated and thinks it’s a wonderful thing to accommodate, and anyway, he has a nine and a half foot piano in the living room so is hardly in a position to object!